Liberate member, Charlie Atkinson, started the Facebook group ‘Guernsey Says NO to Homophobia’ in December. While Charlie is straight, he is outspoken in his advocacy for LGBTQ equality in the Bailiwick. This is part of an interview he did with ITV Channel Television. 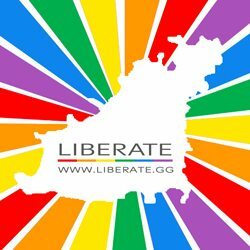 Liberate member Pippa McCathie talk to BBC Radio Guernsey about the launch of Liberate – the Bailiwick of Guernsey’s first LGBTQ (Lesbian, Gay, Bisexual, Transgender and Questioning) support group. Liberate members Martin Gavet & Ellie Jones talk to BBC Radio Guernsey about the launch of Liberate – the Bailiwick of Guernsey’s first LGBTQ (Lesbian, Gay, Bisexual, Transgender and Questioning) support group. ITV Channel Television report on the launch of Liberate – the Bailiwick of Guernsey’s first LGBTQ (Lesbian, Gay, Bisexual, Transgender and Questioning) support group.